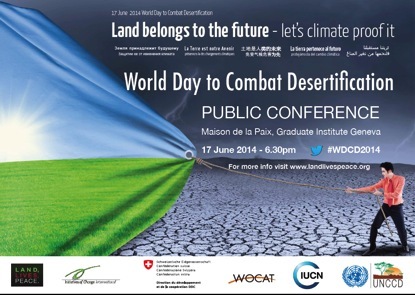 In 1995, June 17 has been proclaimed the “World Day to Combat Desertification and Drought”. The problem of land degradation is not new. In the 1970s and 80s, African drylands suffered from severe droughts that caused repeated crop failures. This situation led to a Global Action Plan to Combat Desertification and for a Desertification Convention that would come out of the Rio 1992 process. Of the three Rio Conventions (Climate Change, Biodiversity and Desertification), the UN Convention to Combat Desertification (UNCCD) is the one that receives the least attention and support. This is surprising because land degradation and desertification is one of the biggest challenges of our time. 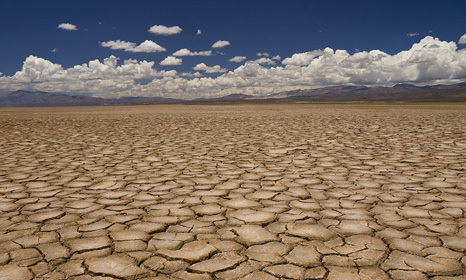 1.5 billion people depend on degraded lands for their livelihoods and three-quarter of world’s poor are affected by land degradation which leads to tension and political instability. Soil also plays a key role in mitigating climate change while land degradation threatens biodiversity. And yet, few are aware of this. To raise awareness about this problem and prepare the grounds for the “2014 Caux Dialogue on Land Security” that will take place in Caux from June 30 to July 4, a conference was organized at the Graduate Institute in Geneva on June 17 that brought together various experts for a solutions-oriented discussion around ways to combat desertification. One key message came out: land degradation is not a fatality. It is mainly a result of human activity including overgrazing, poor farming techniques, deforestation and it is certainly exacerbated by climate change. The erosion of top soil is already having severe impacts around the word and is accelerating. It is estimated that arable land degradation is taking place at 30 to 35 times the historical rate while 13 million hectares of forests disappear annually. But solutions exist. Reforestation and tree-regeneration can play a key role. Not only to reduce soil erosion but to help regulate the water cycle. Over 2 billion hectares can be reforested worldwide. Better water management is critical – rainwater harvesting, water conservation and drip irrigation can play an important role. 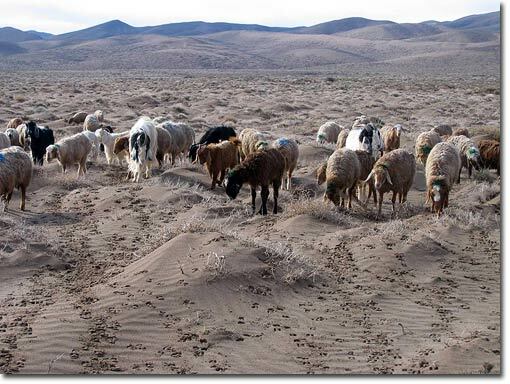 Overgrazing must be addressed and sustainable farming practices must be implemented – one-third of the world’s farmland has been abandoned since 1960 because it has been degraded beyond use. More on this in July! I will be one of the speakers in Caux. Full program, details and registration: click here. For more on solutions to land degradation: click here.